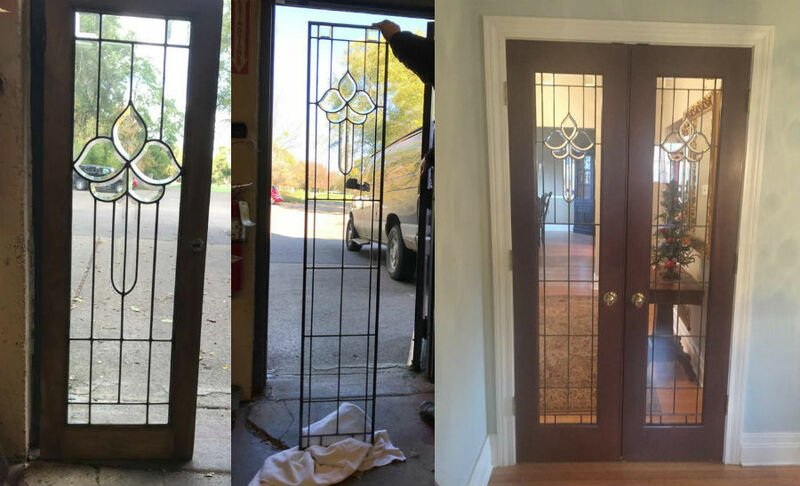 We love sharing some of our custom projects that we do for our customers as well as DIY projects that our customers do on their own. 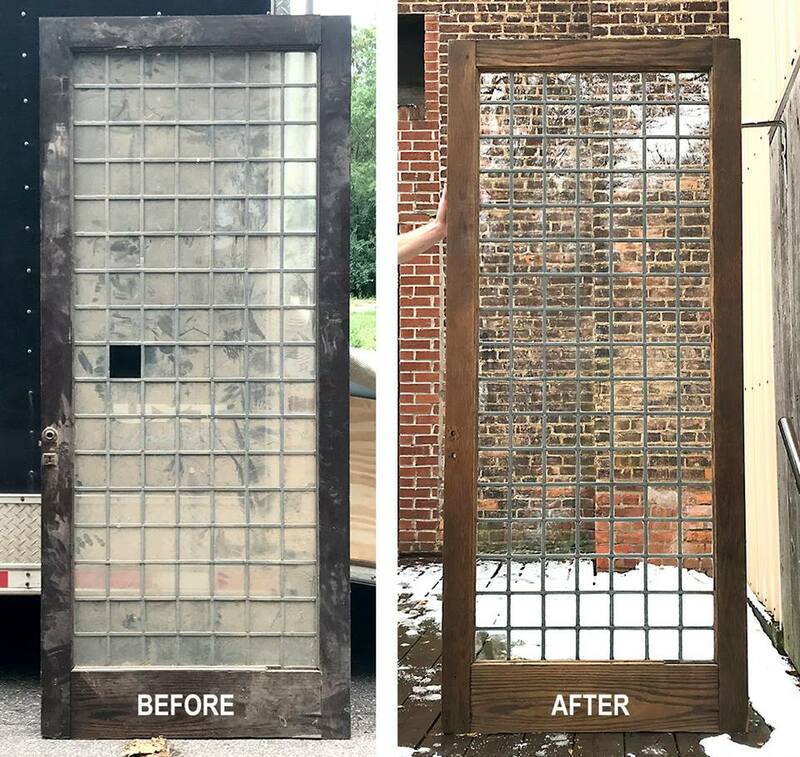 We had a customer take an antique window and an antique door, cut out the top half and installed the window. We think they did a great job! 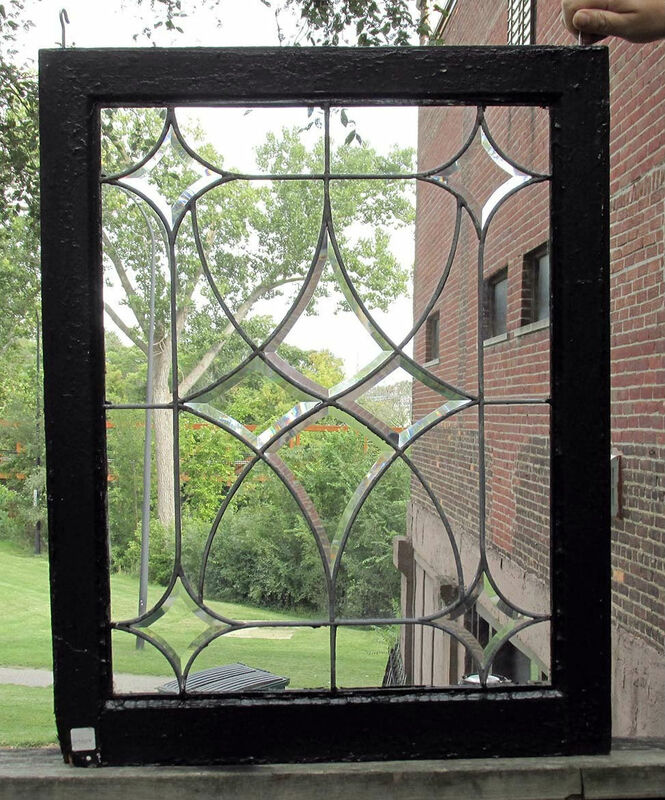 The first row is the Queen Anne style window. The second row is the front and back of the door before. 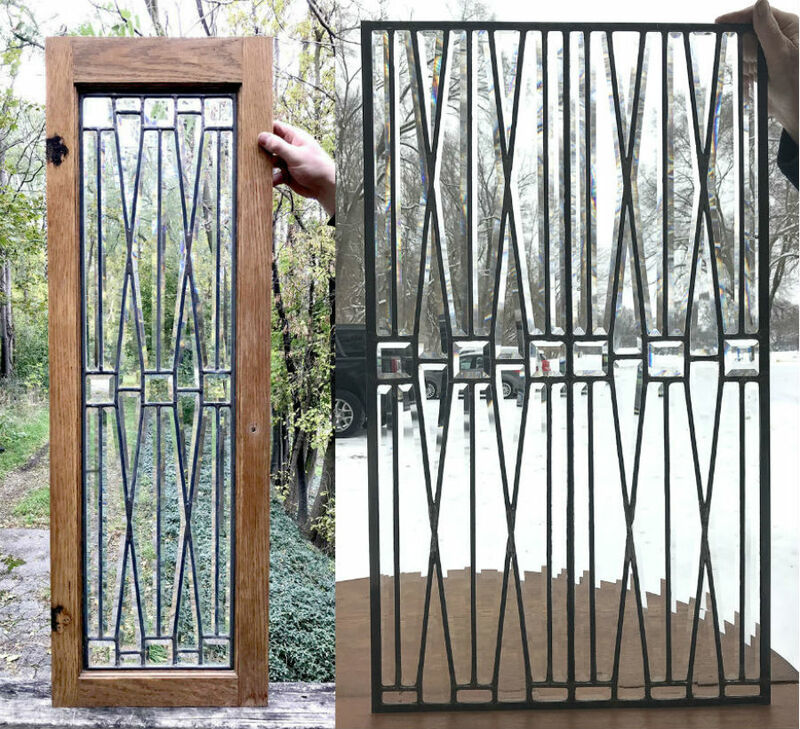 The third row are the "after" pictures of the front and back of the restored door! 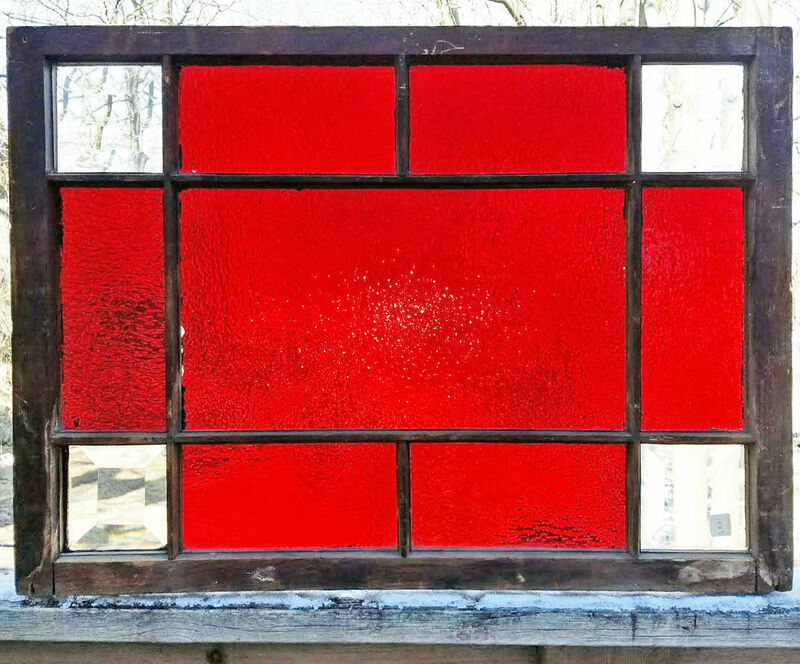 We took 2 matching windows, removed them from their old sashes. 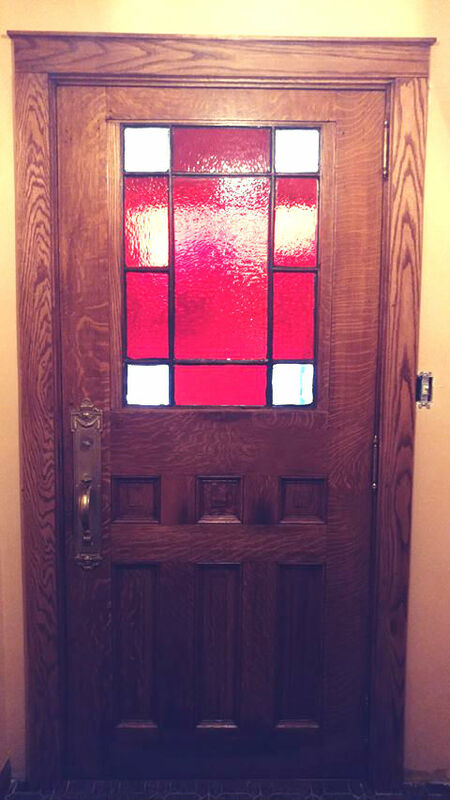 Married them together and put them into a new custom made mahogany door! 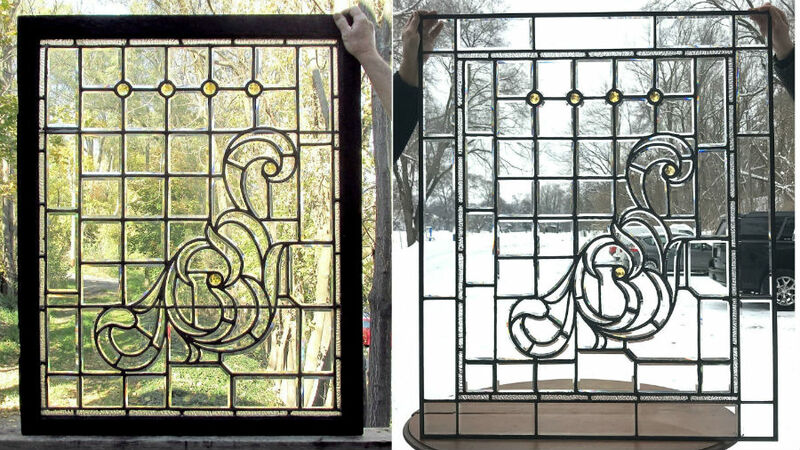 We took 4 matching beveled glass Arts & Crafts cabinet doors and merged them together into two larger window inserts. 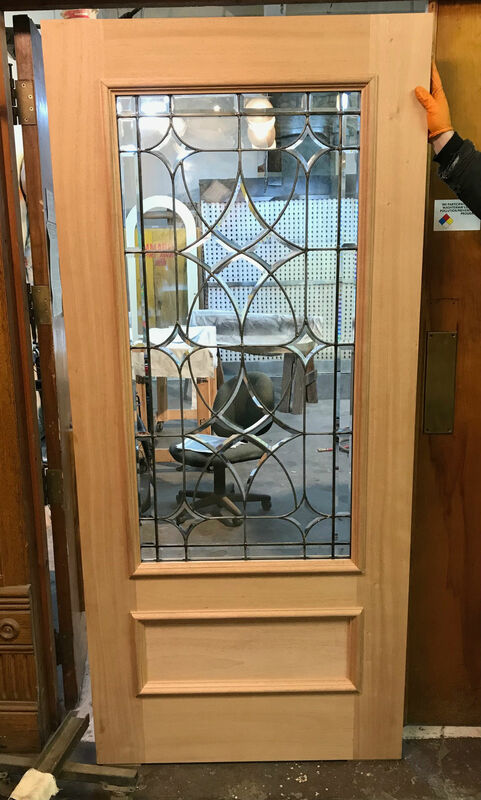 This "Detroit Tulip" sidelight window was too big for our customers opening, so we shortened it. 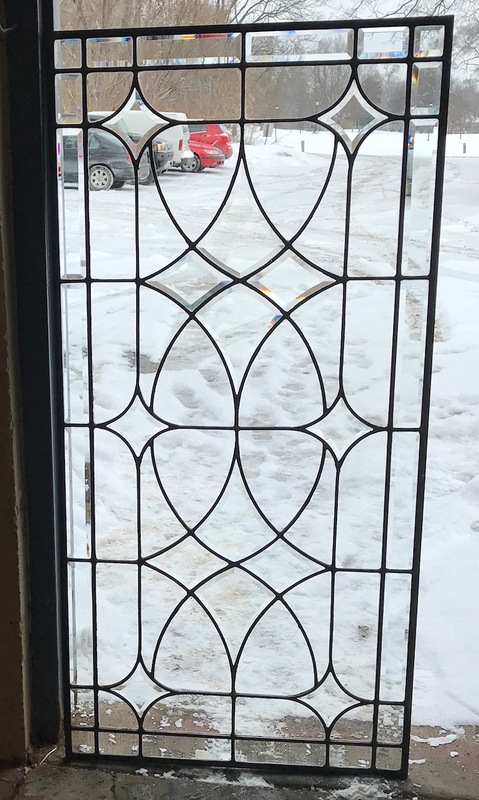 This amazing beveled and jeweled glass window was not big enough to fit into it's new opening, so we added an entirely new band of custom bevels to make it fit. Here we took a pair of short cabinet doors and lengthened them to fit into custom made mahogany doors. Swanky! 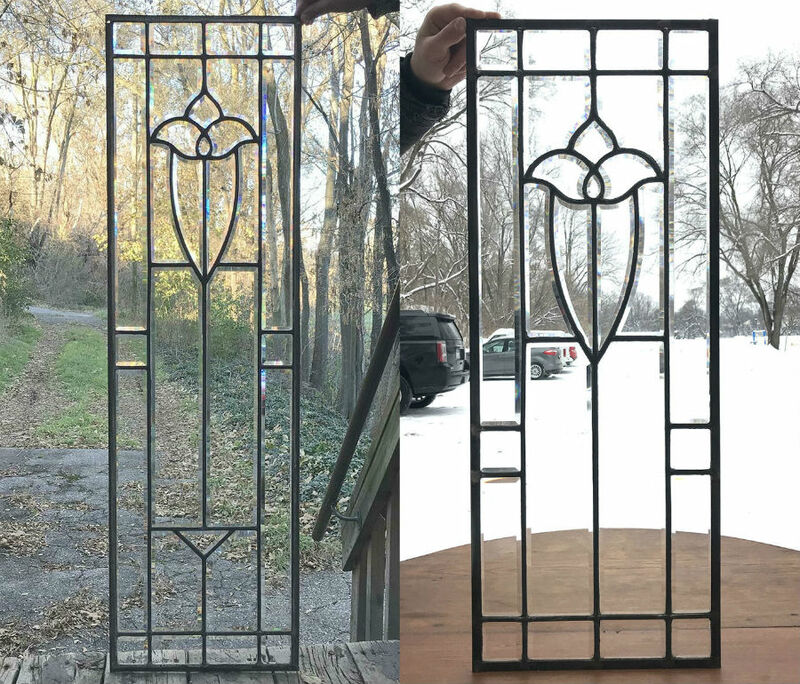 Here's a project that one of our customers did. 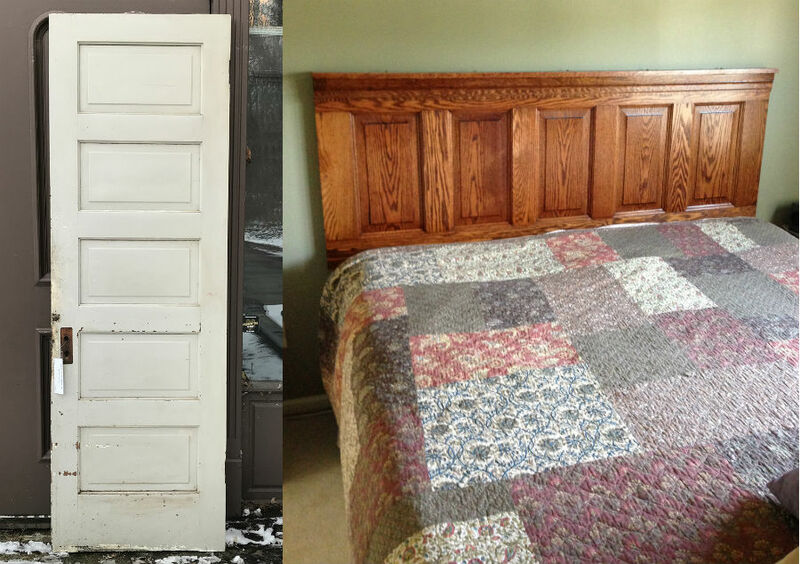 He took an old painted five panel door like the one shown on the left, then stripped it, added some crown molding and voila: custom oak headboard! Just gorgeous. 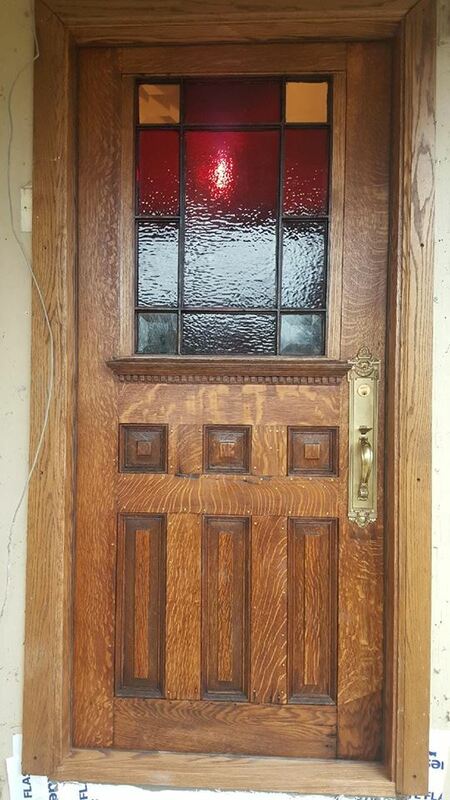 Here's a door that we cleaned up and replaced a few missing and broken panes of glass.